Do you like soup? I do. Soup, with some toast or crusty bread, is a fine meal. 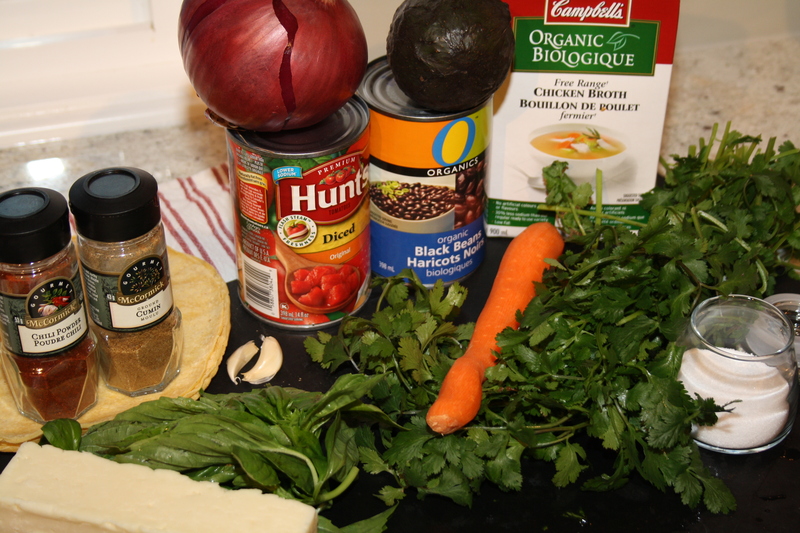 Even better: soup so hearty and delicious and healthy, that it is a meal all on its own. This soup falls into all of those categories. It is comforting and delicious, and with the grilled chicken and black beans, it is easily a substantial weeknight dinner. 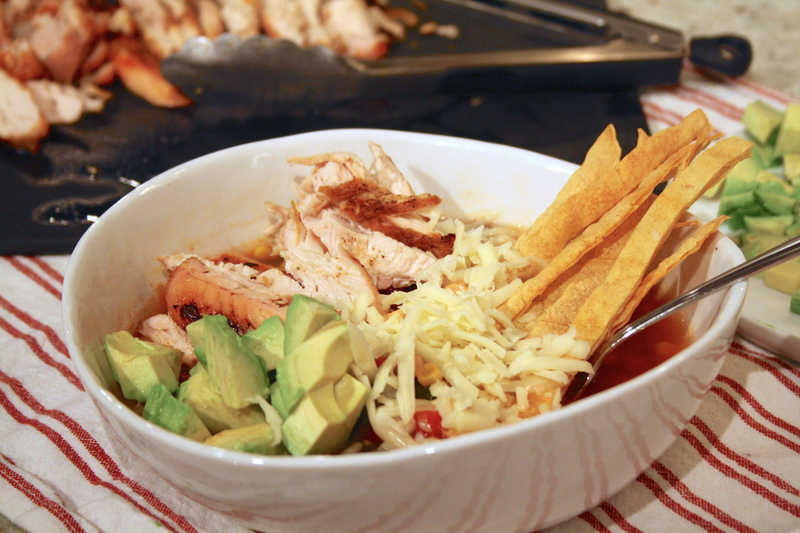 This Tortilla Soup comes from my mum. It’s had so many additions (corn, black beans), subtractions (tomato paste, jalapeño), and variations, I can’t recall what the original intention of the recipe was. I do know, that this version as written below, is the absolute best. It is full of flavour, nicely seasoned, and hearty from the carrots and beans. Eight years ago (!) I was 20 years old (!!!) and interning for my current place of work. I lived at home. I loved my internship. And I worked super hard. 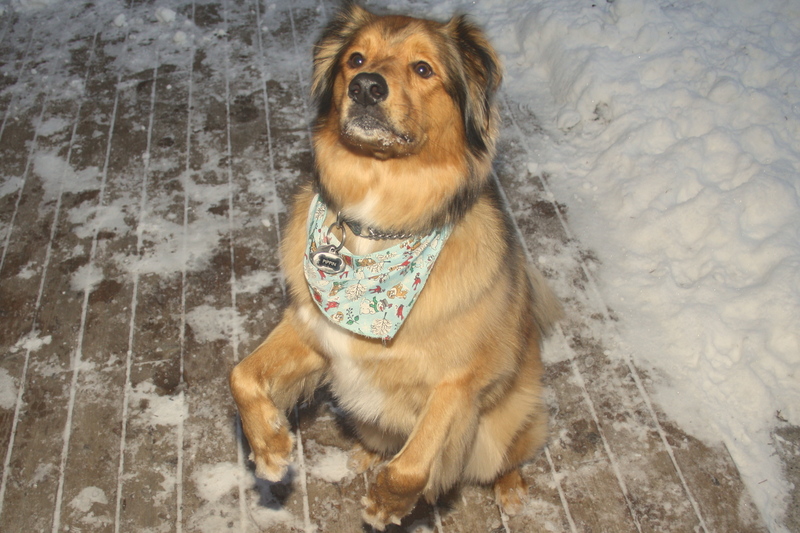 Part of my late nights at work was because of my new work friend who also worked late, partly because I was learning and loving my job, and partly because I was trying to prove myself – badly. My memories of that time is coming home from work, the lights off in the kitchen, my mom laying on the floor by the fireplace, and this soup waiting for me, always with some quesadilla wedges. And always with my dad sitting with me at the counter while I ate, asking questions about my day and wanting to hear what I was up to at work. I know other delicious things waited for me on those long nights, but eight years later my thoughts always go back to this soup and those conversations. Like pretty much everything I like to eat and post about, this soup can definitely be adapted to your tastes or what’s going on in your fridge. This is the sort of soup you taste as you go along. The addition of some lime juice or zest would add more kick, or chiles or red pepper flakes if you feel like some heat. Seasoning the tortilla strips with some salt would be a nice touch. The garnish is, quite simply, ridiculously good. Avocado, cheese, crispy tortillas strips. Adding more of all those things won’t be a bad thing. Very important: grilling the chicken, on the barbecue or an indoor grill pan, will produce a superior soup. I’ve made this soup with chicken I’ve baked or pan fried. While good, it is not the same as the smoky, deep flavours you achieve by grilling. 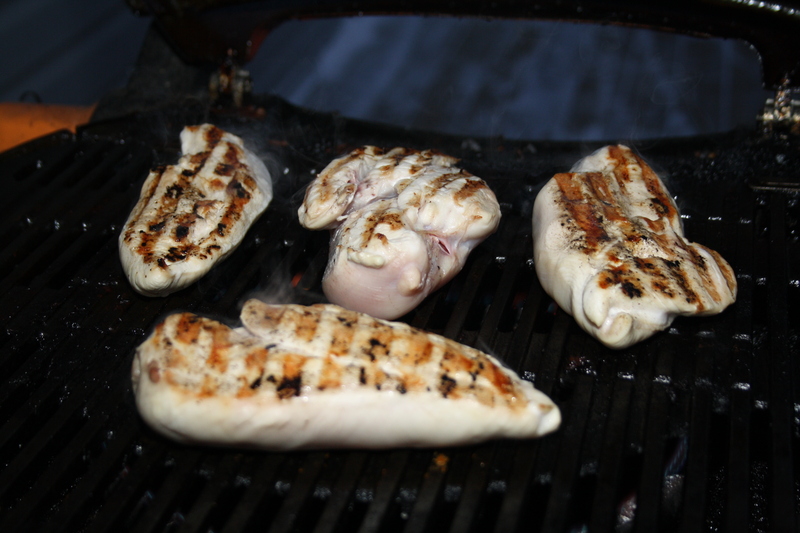 In the summer (or “warm” winter days as I’ve done here) we barbecue the chicken. 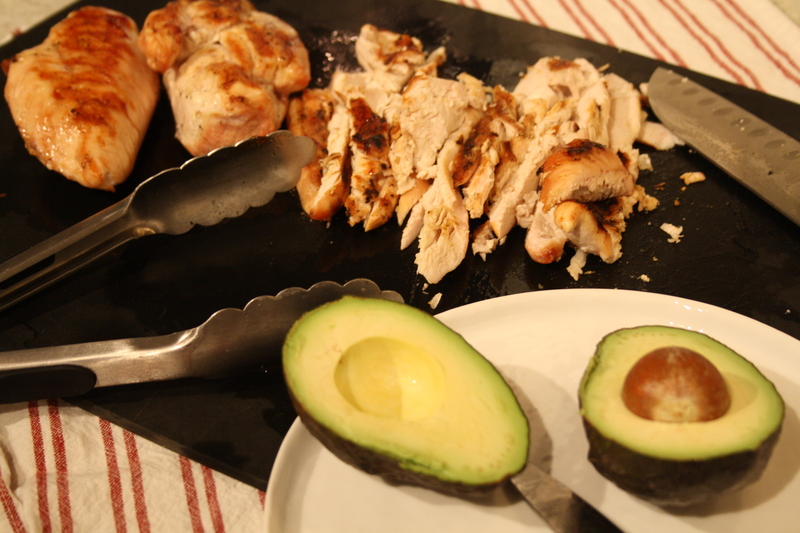 I recommend grilling more chicken than you’ll need, because it freezes wonderfully. And pulling out this chicken from the freezer, already smoky to play off the smoky cumin and chile powder, already sliced, makes this meal even better for busy weeknight evenings. I’ve never done this before, but I also have this idea in my head that this soup would make a great dish for serving good friends while watching hockey (or football, basketball, cricket, whatever you’re in to). You see, this soup kinda tastes like chili. Some wings, some dip, some soup. Your friends won’t leave! Can’t blame them. Preheat your oven to 350 degrees. 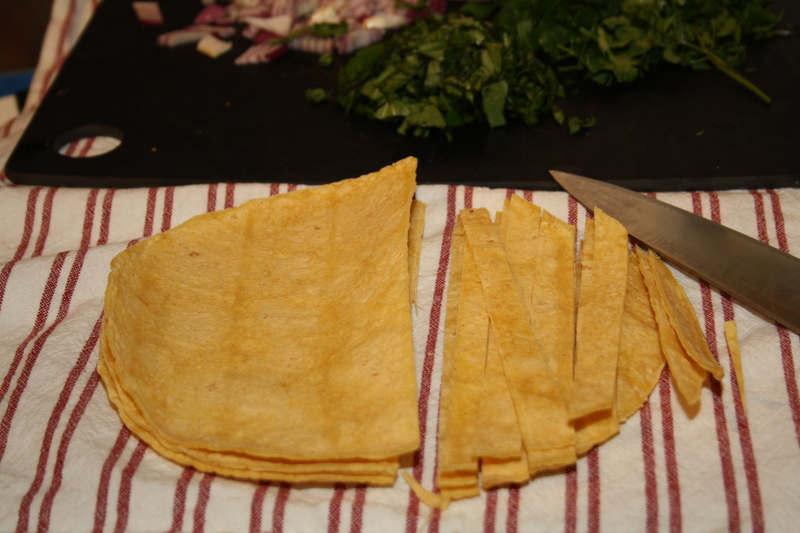 Using kitchen shears or a knife, cut the tortillas into 1/2 inch strips and place on a baking sheet in a single layer. Bake for 8 minutes, until browned and starting to crisp. Let cool and set aside for when the soup has come together. 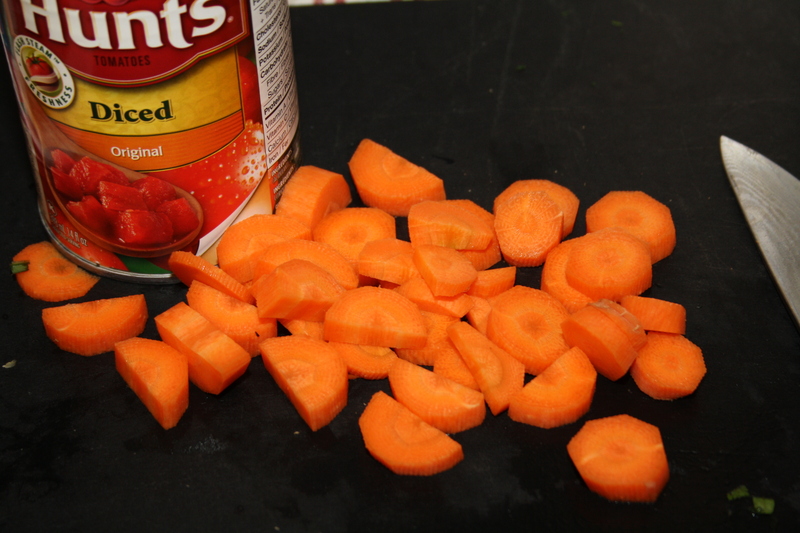 In a large pot over medium heat, stir together the chicken stock, undrained diced tomatoes and carrot. Simmer for 10 minutes, stirring occasionally. 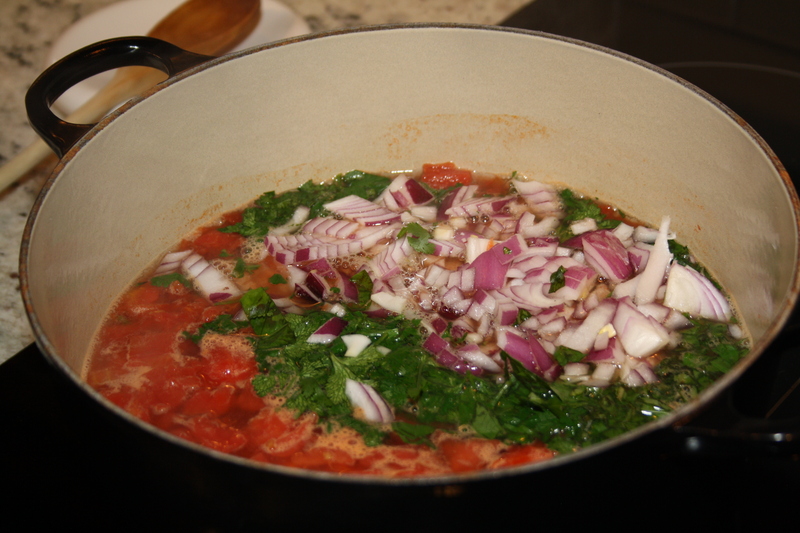 Add the onion, cilantro, basil, garlic, chile powder and cumin. Give it a good stir together and simmer another 10 minutes. Add the frozen corn black beans and stir together for a few more minutes. 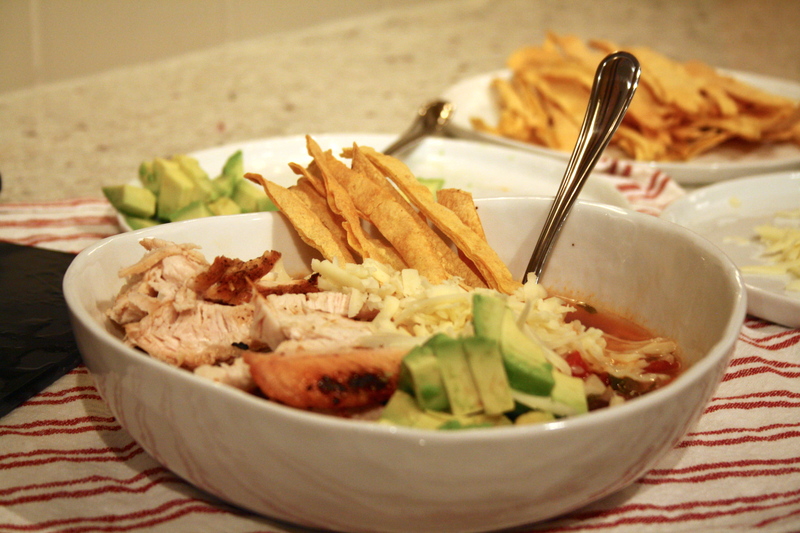 Serve the soup hot, with the avocado, cheese, sliced chicken, and tortilla strips as garnish.